Where can I find the best ice cream in town? Piazza: Only this summer the lovely bar at Idaplatz opened an own gelateria (see picture). Our favorite combination is panna cotta and cherry, but find out yourself. On sunny days there might be a waiting line, but be sure: it’s worth waiting for! Cento Passi: Entering the store you feel like being in Italy. And what would Italy be without its delicious gelatis? 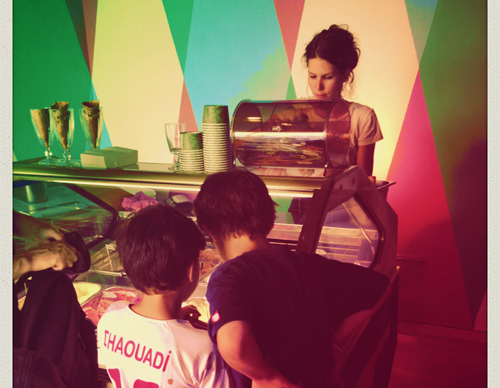 The Cento Passi is the best place in town for real italian ice cream. Look out for the locally produced Sorbetto ice cream, many bars and restaurants in Kreis 4 and 5 sell them. Or visit their store at Rotbuchstrasse 66 – a hard time deciding between the many delicious flavors guaranteed.